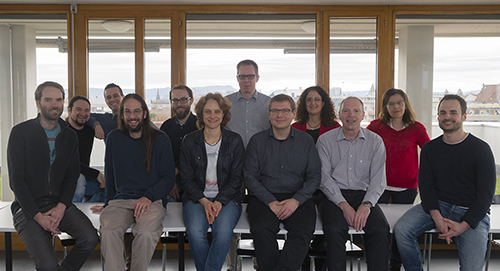 sciCORE is a center of competence in scientific computing located at the University of Basel. Over 170 research groups in the fields of bioinformatics, computational chemistry, physics, biology, medicine, and economics use our services. Our expertise ranges from high-performance computing infrastructure, large-scale storage resources, scientific software and databases to scientific consulting and education. We help scientists with computational needs achieve their research goals. We operate the IT infrastructure behind several key SIB bioinformatics resources and, as a BioMedIT node, we actively support Swiss biomedical research.